Federal EDGE TLR'S Have arrived! Thread: Federal EDGE TLR'S Have arrived! Thes pills have a solid shank with a bonded lead core and a hollow nose topped with a heat resistant polymer tip. I'm expecting them to shoot similar to a ELD X but with complete weight retention and predictable expansion. On a side note I have loaded up the first batch of the 200gr for testing this weekend in the 300BM. Weight variation over the whole pack was 2/10gr and Ogive length variation was +- .002. Thats quite impressive for a bullet with this much technical construction! Last edited by 300AAC; 21-05-2018 at 07:09 PM. Never heard of them. What cals and weights are you bringing in bro? How long until 7mm are in man? 199p and dannyb like this. How have they verified the BC ? 0.61 for a 155 gn 7mm sounds great, but maybe a tad “optimistic”? Doppler Radar. I don't think they would want to shoot themselves in the foot with something like that after seeing the issues other manufacturers have had..
Aye that’s good, the other question/concern I have is the solid Copper design which is great for close ranges, but I’d be worried about terminal performance at long range. @chainsaw Yea I guess thats what they are trying to address here with only the shank been solid and the forward/expanding area of the bullet been lead bonded with a hollow tip to initiate expansion topped with a poly tip. 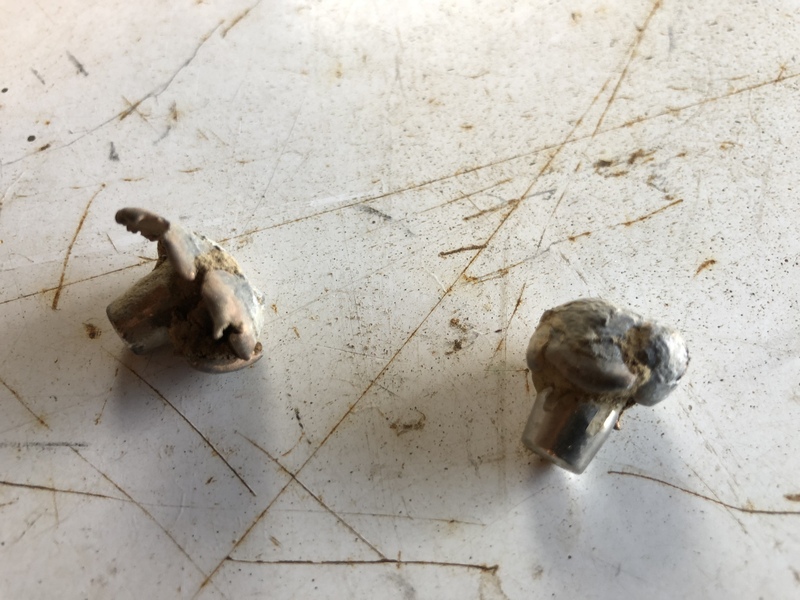 Pulled these out from behind the target into a clay bank at 100yrds. From a 300wm federal factory ammo. I think the 175. Held together well. The guy has shot a few bull tahr now at about 400m with them and they didn’t move much. 300AAC and dannyb like this.